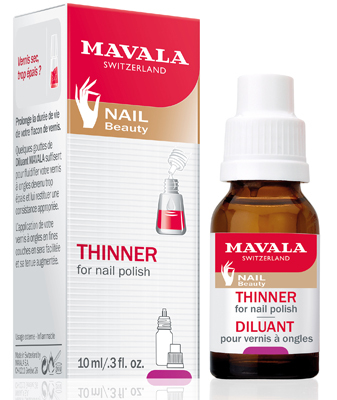 Mavala Switzerland Nail Polish Thinner is specially formulated to restore thickened nail polish to correct consistency. The nail polish thinner comes boxed. Comes in a small glass bottle with a dropper nozzle. Apply 3 drops of thinner to thickened nail polish. Its a clear liquid and has an aroma similar to terps and some strong nail polish. It helps the thickened polish to break down to a thinner consistency. If 3 drops don't thin the polish enough I apply a few more. I add the thinner to the polish a couple of hours before using the polish on nails. The thinner works well, thins thick nail polish for easier application to nails, no worries. It does prolong the life of nail polish.  A beneficial product that I will be repurchasing.